for 30 days, 100% free. With our state-of-the-line dedicated SSD servers and our 99.9% uptime guarantee, you can spend your time on more important things than worrying about your emails. 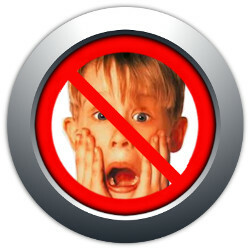 Oh and did we mention that blacklisting is a thing of the past? You can download your catchalls from the Members Area and they're GSA-ready out of the box! No need to enter the settings line by line, all you have to do is import the .txt file to GSA and you're ready to go! You know what it would cost you to properly set up and maintain one of these emails yourself? Over $30 / month, that's how much! You can get 10 emails from us for that price, and you don't have to move a muscle to set it all up. SER does a great job of automatically using full potential of catchalls. Every time it needs to create an account to post links, it will use a new email account. Also, if the registration form includes "name" or "last name" fields, it's going to match them with the email. So for example an account created for "Anna Smith" is going to use something like "annasmith@your.catchall.com". I've been using seospartans for a while now, and i can tell you for sure that the quality of the accounts are amazing! It is truly more than worth it! - I don't need to check the 'Time to wait between login' in option. 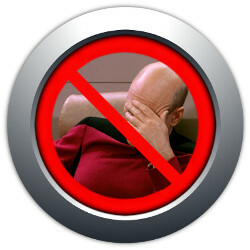 - I don't need to access my control panel to delete any spam in my account's inbox, its done automatically. - I don't need to limit my thread setting, because even with the bronze package, i still have a lot until i reach the maximum suggested. - I don't need to worry about the successful rates mainly based by the 3 things above, and the other is because my VpM only increasing after i use seospartan's catchall email accounts! Well i know that the things i've listed above maybe a little bit subjective, and maybe different for someone else who has hundred or more projects running.. 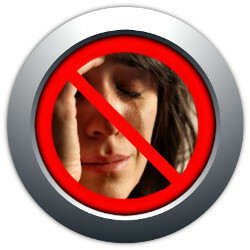 But you really need to try seospartan, it will helps you that much, so you can focus your mind and never worry about email again. And you can contact John anytime, he will respond to your queries, while it isn't the fastest response, still it never get more than a day to get a reply, and in term of price and service, that is quite acceptable. It's rarely needed though, because the service is running smooth most of the time. I was lucky enough to get a review copy and having done various tests with it, blasting new domains, swapped email accounts from old projects, over a few hours of submitting/verifying, the tests show that they are still good. From the pricing on https://seospartans.com/catch-all-emails/features/ it looks pretty decent. I think everyone has been struggling with Hotmail/Outlook accounts this past month, but my provider was keen to refund and replace the bad email accounts (now running OK), I do see the benefit of paying a monthly fee for these catchalls. Yes they will go down, I bet, but there are x amount of replacements per month depending on your package. Even though I dislike monthly payments, the way that I've been paying for email accounts this year is sporadic but I buy thousands at a time and it's difficult to stay on track of what accounts still work - I have more than 700 projects running and would love SER to be able to do a bulk email test but it doesn't, I know the error message would let me know but with multiple servers it's a ball-ache....which is why Hinkeys' catchalls would make it easier. I used this with Kw Ocean and GSA Ser, over 70k links built via my VPS and the VPM was a suprising one. I never saw the rate going by incrementation of 30% but with SEOSpartan service, it climed to the peak. The Support is fantastic throughout the phase and OP was eager to solve queries too. A must recommended 5 on 5 Rating Service. no proxies reqd. for accessing mail, no tension regarding spam complaints, new email id every month ( i think so), no need of maintenance or any other task . i used the provided email id for a C&b project , till now i have submitted 250K links using only this email and no errors till now . I was lucky enough to get a review copy. I used this service for around 10 days now, before posting this review. Built over 20K PR1+ backlinks for my tier one. The success rate has improved drastically which used to be extremely less for the kind of filtering that I use. If you are using GSA for building links, then buying this service is a no-brainer. This service is more cost efficient than setting up your own. I recently tested out SEOspartans catchalls and have to say I was incredibly impressed by the quick set up time and how good the catchalls work. Emails are getting more and more expensive to purchase, if you are running a lot of campaigns then the cost adds up quickly. I wasn't sure how many emails I would need to purchase so I started out with the free trial email to get an idea of the service. One email comes with a 300mb inbox that is cleaned daily. I had 7 projects (all tiered) and didn't come close to filling up the inbox. 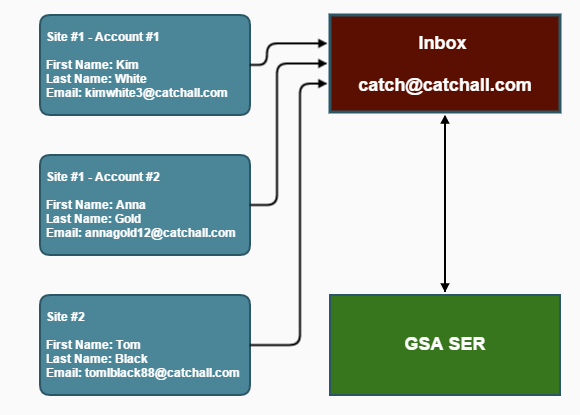 If you use GSA SER then you should be looking into catchalls as a way to decrease your bottom line. Completely happy with the service and I'll continue using it and probably buying larger plans. Again, if you aren't sold then take the free trial for a spin and see what you think, you won't look back after that. The best captchall email provider I have use as of now, and I would recommend it to my friend who's currently still using disposable emails. It's much much easier and kind of "insert it and forget it" email account. Save me a lot of money from buying disposable emails. Very positive experience from me. Easy to set up, just a simple cut and paste job into GSA SER, instant activation. Ran some tests and working perfectly. It's really easy to use. Just copy and paste. I used to buy emails and put them directly into GSA. And of course some of the emails will stop working. Since starting the review account I don't have such problems. And yea the VPM is greater than before. Overall: Service is cheap and good from what I see. Will definitely subscribe after the review account expires. What is a catchall email anyway? Catch-all is a mailbox that will “catch” all of the emails sent to non-existent email addresses on that specific domain. For example: If your catch-all email is “catch@domain.com”, you can register on the same site with “john@domain.com” and “lucy@domain.com” (and as many other aliases as you want, even tho these email addresses technically don’t exist) and receive all confirmation links in 1 mailbox. That means that you can make as many accounts as you want on a specific site using “imaginary” emails and confirm all of them by using 1 “master” email in your projects. Pretty cool, huh? Why is a catchall better than using many disposable emails? With our catchall emails, you can be sure they will work until the end of time. Also, they’re ridiculously “hands-off” and simple to use. You just import them in your template projects and you’re done thinking about emails for a few months. So every few month you can swap your catchall (for free), select all of your projects and import your new ones (there’s a short tutorial for that if you don’t know how) and you’re done! How does SER handle catchalls? Why wouldn't I just setup catchalls myself? But it’s not just a matter of buying a cPanel shared hosting and a domain, creating a catchall and blasting away. Will the catchall I get be private? Yes, 100% private, there’s ABSOLUTLY NO SHARING involved. Simple, you’re paying the monthly fee as long as you’re using our emails. Within a couple of minutes!